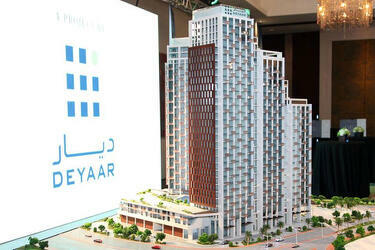 Deyaar Development, one of the leading property developers in Dubai, UAE, has reported a year-on-year increase in revenues which hit Dh176 million ($48 million) for the first quarter of 2018, up 25 per cent compared to Dh142 million last year. Announcing its preliminary unaudited financial results for the period ending March 31, 2018, Deyaar said it registered a healthy rise in net profit by more than 25 per cent to hit Dh40 million for the three-month period, compared to Dh32 million in the same period last year. CEO Saeed Al Qatami said: "Deyaar’s steady performance in the first quarter of 2018 is reflected in higher revenues and a healthy net profit. During the first three months of 2018, Deyaar has made major headway in its iconic projects."